Kakuko Chiba, KDDI Msat Inc. THe Multicarrier/Multirate Group MODEM has been developed by NTTCorporation for satellite communication network, that support up to 256 carriers simultaneously. 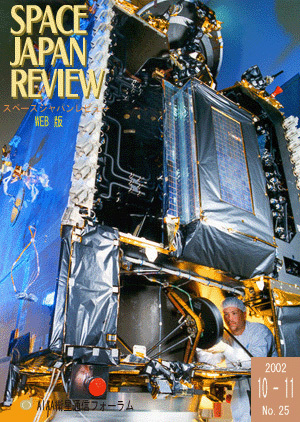 2002 Joint Conference on Satellite Communications was held with KOSST on October 10-11, 2002 at Lotte Hotel in Daejeon, Korea. JFSC Colloquium at World Space Congress 2002 was held at Houston, Texas USA from 10 to 18 October 2002. The World Space Congress (WSC) took place in Houston - Texas between 10th and 19th October, 2002.